Why do you enter haunted houses? You know they’re going to scare you! If you’re like others who look forward to the Halloween season so you can be scared, you’ll want to visit Culbertson Mansion’s “Literally, a Haunted House” every year. The staff members use their dark-creativity to scare the wits out of you! In the same haunted-show spirit, here’s a “did you know” list about SoIN’s oldest and scariest haunted house. Share if you dare! 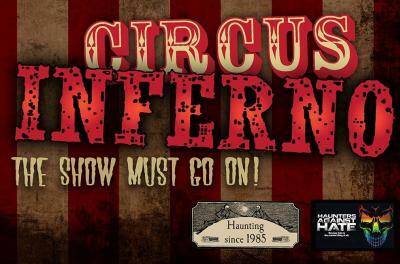 Past themes include 2017&apos;s “Circus Inferno: The Show Must Go On,” which was based on the 1918 Hammond, Indiana Hagenbecker-Wallace Circus train wreck that killed 86 people and injured 127 others. Over the years, mansion staff and volunteers have reported strange and unusual occurrences in the carriage house. They include: electrical problems, mysterious figures moving room to room, strange sounds after hours, and missing items. “Literally, a Haunted House” takes more than nine months to plan and involves mansion staff and more than 80 volunteers. “Literally, A Haunted House” has been held in the carriage house since 1987, and is the longest-running haunted house in Kentuckiana. 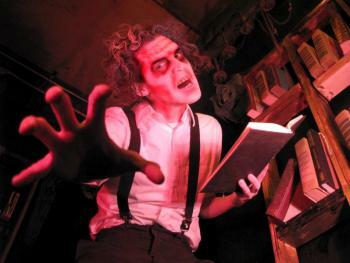 Admission to the annual haunted house is the primary fundraiser for the Culbertson Mansion. To date, the event has contributed over a million dollars towards the mansion’s restoration. According to the website, the haunted house is not recommended for pregnant women, children under age 10, or people with asthma, heart conditions, or those who have had recent surgery. The mansion and carriage house have been: auctioned off at the turn of the century, saved from demolition in 1962-63 by Historic New Albany, and the offices for the American Legion Bonnie Sloan Post in New Albany (1946-1964). begins 7-11 p.m., Friday & Saturday, September 28 & 29, and runs every Friday and Saturday night through October 26 & 27 in 2018. 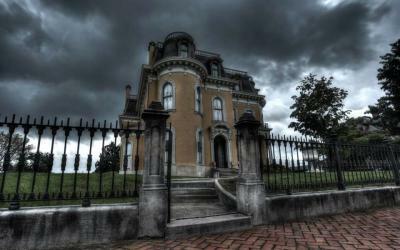 Find out more about the Culbertson Mansion State Historic Site and its Haunted House.